The Middle Tower forms the principal entrance to the Tower of London, and protects the bridge across the most. It is the only Tower outside the moat. Is in the two upper floor of the White Tower. 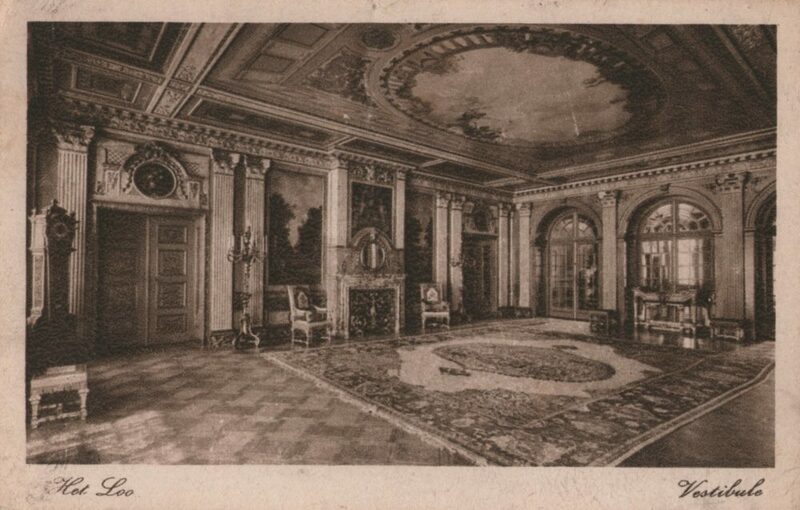 The rooms on the second floor contain Eastern Arms and armour, ad more modern European arms. The main portion of the collection is in the Council Chamber, includes a series of equestrian figures in full equipment. 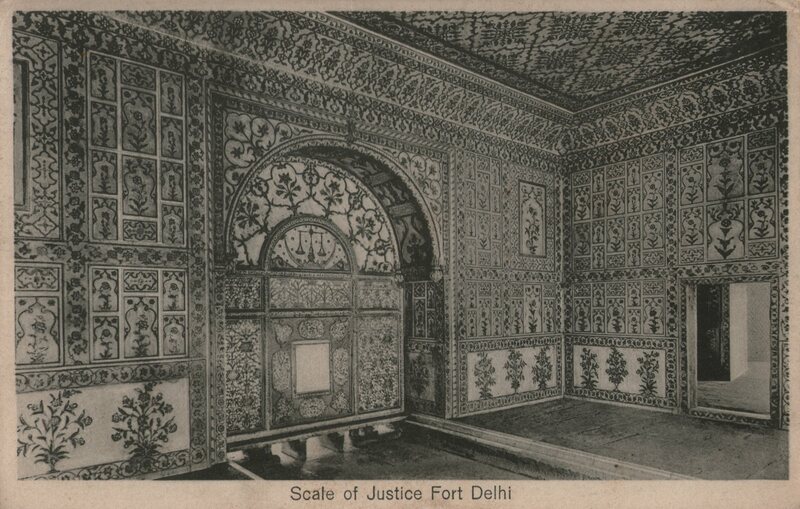 Caption: Interior Scale of Justice Fort Delhi. A marvel of whithe[?] marble with colouring of an unrivalled beauty. Red Fort constructed 1639-48 for Mughal emperor, Shah Jahan.